Benelli Armi S.p.A. was formed in 1967, based on an idea from the Benelli brothers in 1940, who were convinced that the future of hunting shotguns lay with semi-automatic models. Today, Benelli offers the world’s largest selection of semi-automatic and over-under shotguns as well as semi-automatic rifles. Every Benelli firearm delivers cutting-edge innovation in design, technology and manufacturing. No matter your sport, Benelli’s got your gun, and it’s simply perfect. New stock finishes for 2018: Wood, Mossy Oak Bottomland and Gore Optifade Timber. Now Available in Black Synthetic and Realtree MAX-5® for Left Hand! Claudio Ongaro is an accomplished outfitter, outdoorsman and writer. He has been an outfitter since 1994 and is considered by many in the industry as an authority on hunting waterfowl, he never rests on his laurels and continually comes up with better techniques by which to hunt them. 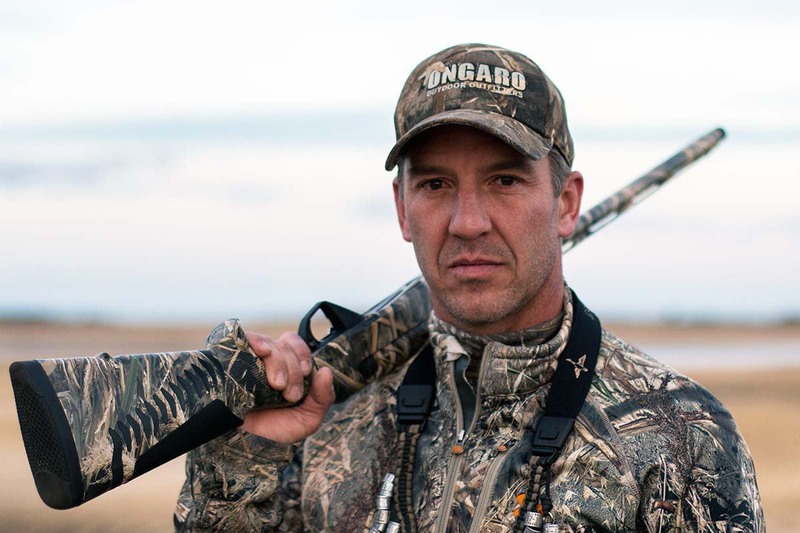 In 2011 Cabela’s selected Claudio as their second ever Canadian Pro Staff and just this year, Claudio was named a Cabela’s Ambassador, a designation only a very select group of outdoorsmen have accomplished. Another of Claudio’s accolades was being awarded the prestigious WISE Industry Conservation Award; this award is given to an outstanding ambassador in the outfitting industry who demonstrates passion and commitment to wildlife and the cause of conservation. His most recent project is hosting Claudio Ongaro’s Hired to Hunt, which airs on Wild TV. It features some of the best waterfowl hunting in North America. Claudio and his dedicated guides take viewers on an adventure each and every episode in an effort to entertain, inform and educate. His enthusiasm and passion for the outdoor lifestyle shines through in his seminars, personal appearances and all that he does.